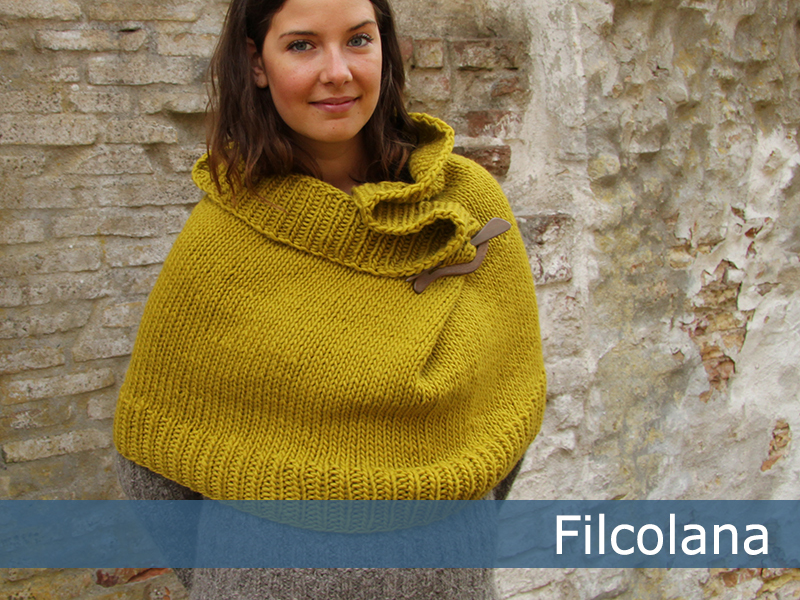 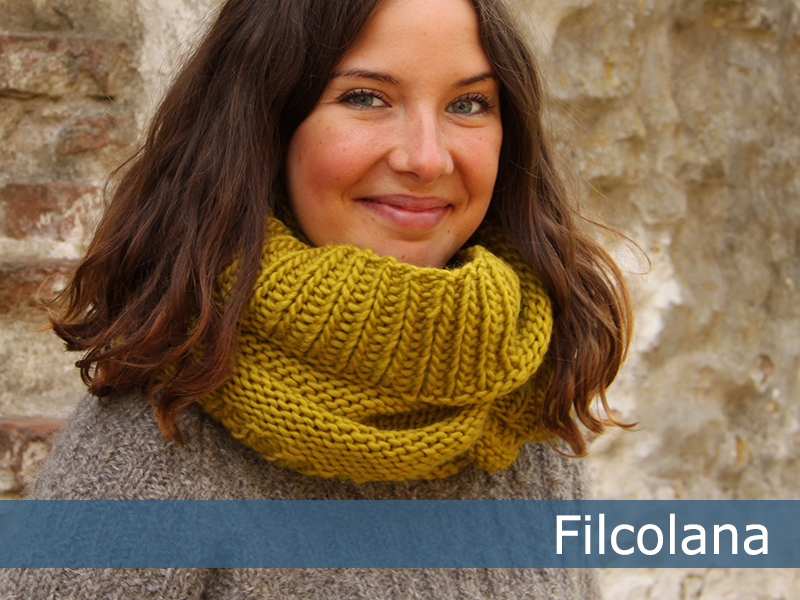 A simple and very quickly knit cowl or cape. 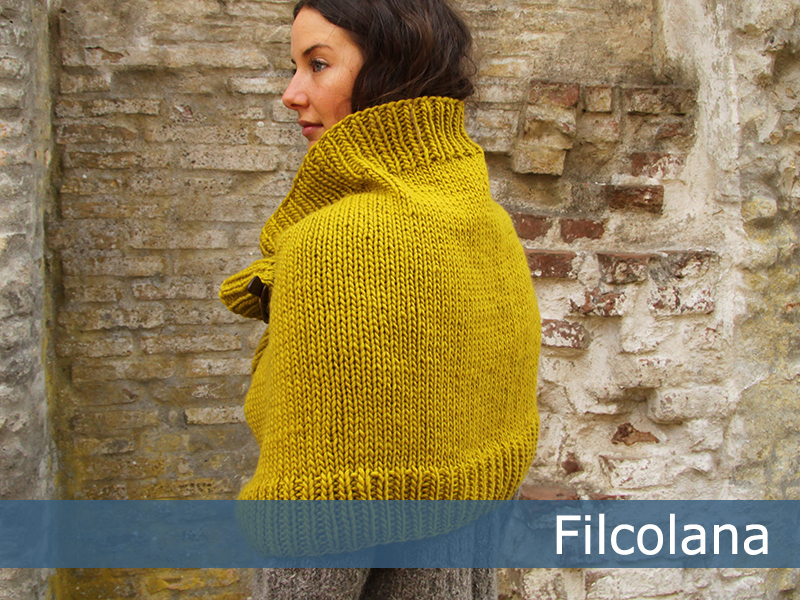 Let it drape open like a very large collar or use a shawl pin to gather it at the neck like a cape. 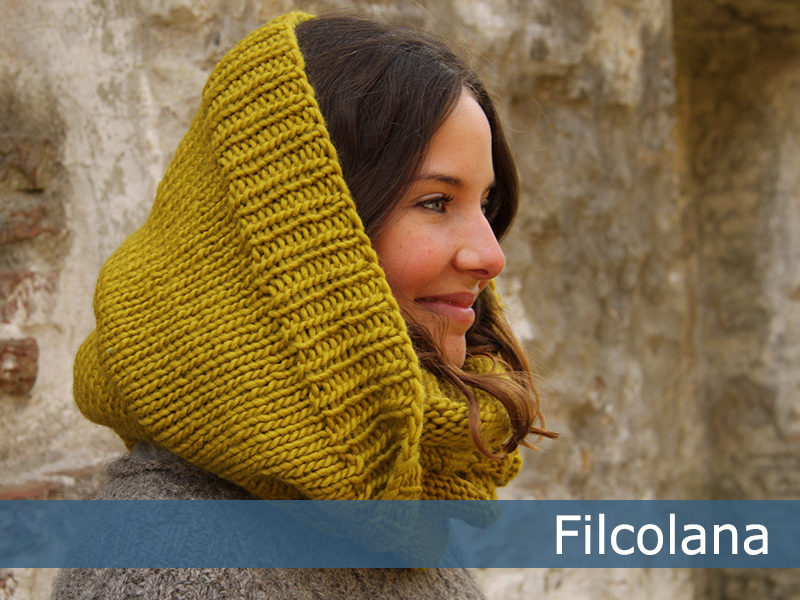 Use the cowl as a combined hat and scarf - or double it up around your neck for extra warmth and comfort.